We’ve all been there—you’ve fallen out of the workout routine and you’d rather sleep in than get all sweaty and uncomfortable. It’s a good thing you don’t have to get back out there on your own. There’s an app (or a hundred) for that. With so many health-tracking apps, it’s easy to get overwhelmed. In order to make sure you download the most helpful apps to your phone, we’ve compiled a list with some feedback about how well they work. You’re welcome. At this point, you’ve probably downloaded a calorie tracker or two. Maybe you deleted it after you slipped off the fitness wagon. If this is you—or if you’ve never tried a nutrition app—we’ve got some ideas to get you back in the rhythm (or started in the first place). 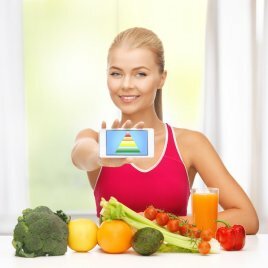 Why a nutrition app? These apps force you to look at your daily habits. If you’re looking to lose weight or simply eat better, these apps will get you there. When you keep track of what you eat, you’re less likely to indulge in junk food. If you keep track of how much you exercise, you’re more likely to keep doing it—after all, having proof of how many calories you burned today feels pretty good. Which brings us to our next roundup: exercise-tracking apps. The food apps listed above are great for tracking weight loss, but the following apps are honed in on exercise routines. These apps can get pretty serious. Take RunKeeper . Once you download this free app, you’ll be able not only o track your runs, as the name implies, but join a community of other runners. That’s right, your workouts are now a social network. You can track pretty much any type of exercise—jogging, cycling, etc.—via GPS. The app stores all kinds of stats: pace, distance, time, calories burned. It even offers coaching. You can note your progress over time, which is always a good motivator. Another app takes RunKeeper to the next level and gives you a real reason to run. Zombies, Run! is a combination of exercise tracking and video game. Pop in your headphones, launch the app, and suddenly you are in a world where zombies are on your heels and you must outrun them to “stay alive.” You must also complete “missions” while you run, such as collecting supplies. It’s a pretty fun app if you’re looking for a reason to get active. We can’t forget about apps that aren’t so focused on making your body fit as they are on making life a little easier. 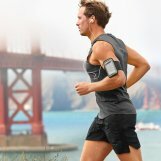 We found a list of 13 top healthy lifestyle apps at Healthline.com , and we think you’ll like what they have to offer. Sleep cycle tracking, sleep talk recording, brain exercises, a pedometer, a medical dictionary, just to name a few. 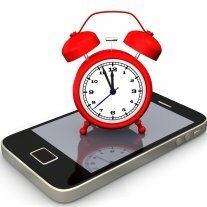 Go check out that Healthline.com list to start gathering apps that will make your daily routine smoother. What apps do you use to stay healthy? Whether you want to eat better, exercise more, or simply uncomplicated your schedule, these apps are pretty helpful. No point in limiting the vast resources of your smartphone to phone calls and texts. Do you use apps to stay fit? Tell us which ones, because we’re sure you’ve found one or two that we haven’t mentioned here. Leave us a comment!